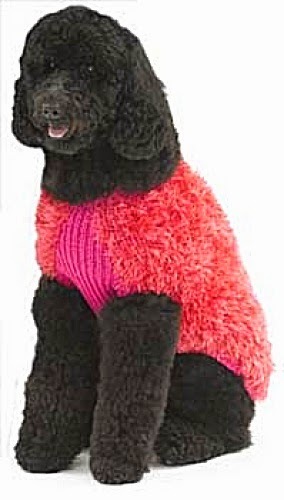 I was originally going to have a visit from the Poodle Martini Bar with a new cocktail celebrating the arrival of Taz in our life. But that will have to wait. 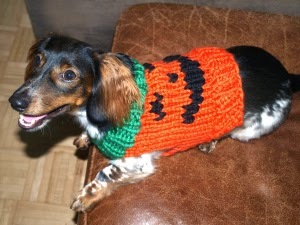 This week, in my Feedly, Lions Brand had a post that was all about knitting Halloween consumes for your dog. 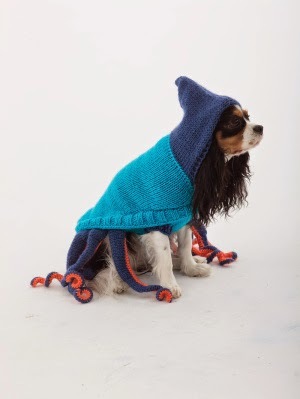 Up front, I will tell you that this year, I am not knitting any Halloween costume for any of my dogs. I am trying to finish up a pair of socks that I started earlier in the summer. But all of these free patterns are in my Lions Brand pattern library and some I have already downloaded. 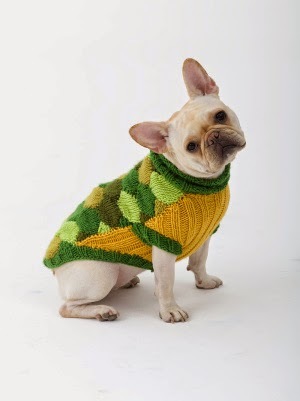 Now, I realize that probably very few of my pet readers knit but it has been on of my hobbies for years. It is really why I started The MeadowTree Journal. 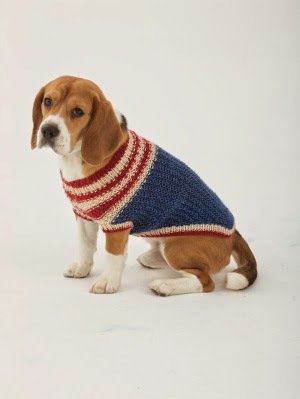 I am also putting a couple of non Halloween sweaters at the end that are easy to try. All titles are linked to their patterns on the Lions Brand website. I could see this on Niko all winter. It fits his personality. He is only 9 pounds but thinks he's hot stuff. I think this pattern is the most versatile. The colors could be changed for a all season look. Personally I think this one is a bit impractical. I think I would op for fringe but then it wouldn't be an Octopus would it? I do like that it looks like a cape but it is really a sweater. This is probably the easiest of the group. The shaping is simple and the face can be duplicate stitched on. 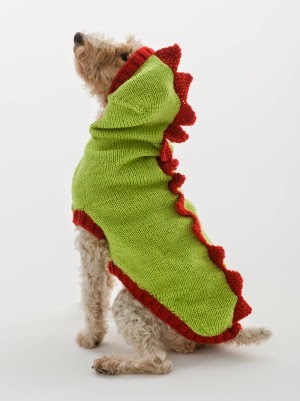 I will have to admit, I have always wanted to knit this one for the girls. This pattern is marked easy. The colors could be changed to make it any combo wanted, I think. If you crochet, there are plenty of crochet patterns too. The general link to Lions Brand is HERE.